Traditional Indian houses first arrest you with its stark architecture and then welcome you in with happily designed doors and windows. The Jharokha collection draws its name and inspiration from portal art – where doors and windows are the canvases for the residents creativity. 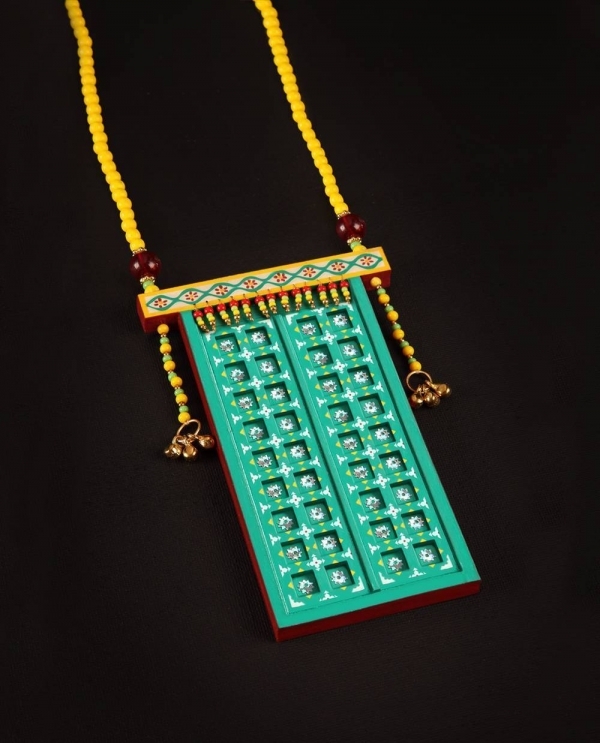 Each piece of jewellery is one-of-a- kind and it recreates the mood, gaiety and warmth of a traditional Indian home. Hand painted and crafted by artists on layered wood. Embellished with gold finish brass and silver foiled crystals. 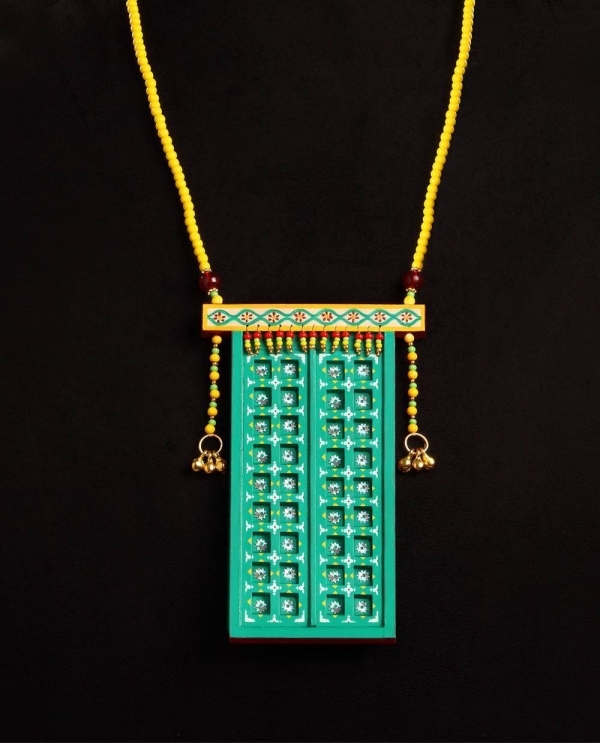 Strung together by glass beads by the traditional community of Patwas, this collection opens new vistas of possibilities in art you can wear.